Every year the industry's biggest names gather in Las Vegas to show us a glimpse of the devices and innovations that will define the months to come in consumer technology. With so many announcements hitting the wires at the same time, we've already brought you the top stories and highlights, especially those concerning personal and computer technology. Now, realizing not every product we've seen at CES will necessarily get a release date, the fun is in watching the announcements and recognizing the trends and hints of what's to come. 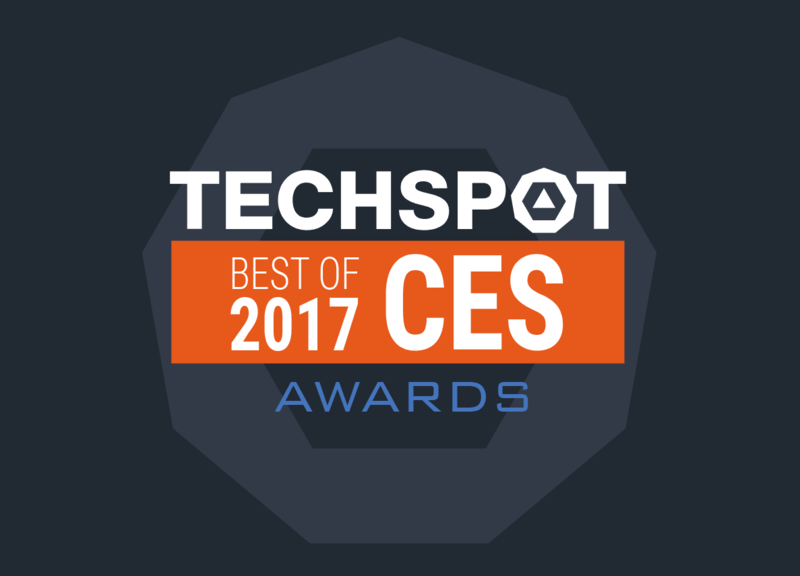 In no particular order, here's our selection of the 10 most promising or downright cool products we found at CES 2017. 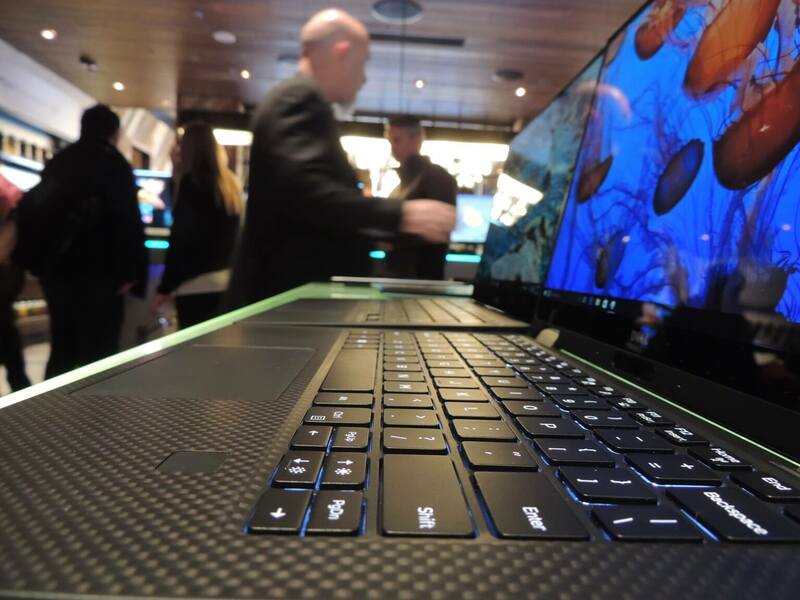 CES is often used to showcase the next generation of display technology. 2017 was no exception, and we were impressed by more than one company's efforts. 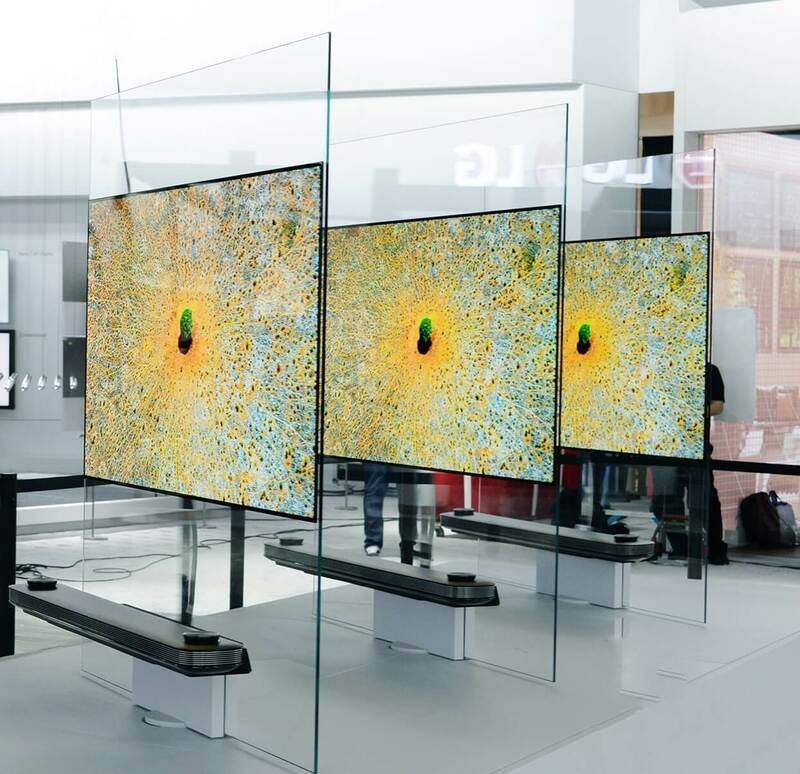 However, LG is in for a repeat with their Signature W7 OLED TV, also known as the "Wallpaper TV." Touted as the thinnest TV in the world, the Signature W7 comes in 77- and 65-inch versions. At an incredible 2.5 mm thick, it's so thin it's best seen when attached directly to a wall, where it can hang as a painting would. To make this analogy closer to reality, the LG W7 is mounted to the wall using magnetic brackets, to keep the intended appearance that the company calls "picture-on-wall." The W OLED TV is webOS powered, sports a 4K resolution with active HDR (HDR10, Dolby Vision and more) putting out gorgeous images with near-perfect blacks and wide viewing angles. Of course, you won’t find any ports or inputs in the wafer-thin panel. It has a proprietary cable that connects to a companion sound bar where all wired connections are managed. The sound bar houses Dolby Atmos certified audio and connectivity includes 4 HDMI ports (HDCP 2.2), 3 USB ports, Ethernet, Wi-Fi, and a Toslink connection for optical audio. Think about this: three 17.3-inch 4k IGZO displays equipped with Nvidia G-Sync. In a laptop. Granted, at 12 pounds and 1.5-inches thick it's not the most practical machine to carry around, but never before you could cram so much hardware (including a powerful processor and GTX 1080 graphics) let alone three high resolution displays in a portable PC. In case you were wondering, Project Valerie's chassis is directly inherited from the current top of the line Blade Pro. To make this setup practical, there is supposed to be an automatic deployment mechanism that slides out the side of the main screen and adjusts the two additional screens into place, however Razer's working demo machines that we were able to touch and play with were using a less sophisticated mechanism. Properly driving AAA games at this resolution will prove challenging even for a GTX 1080, so that's something to consider. But in the few days since Project Valerie was shown we've read enthusiastic comments from people who would buy this for productivity instead of gaming, or maybe even completely forgoing a battery in this "laptop," so there's more space for proper cooling and more hardware. 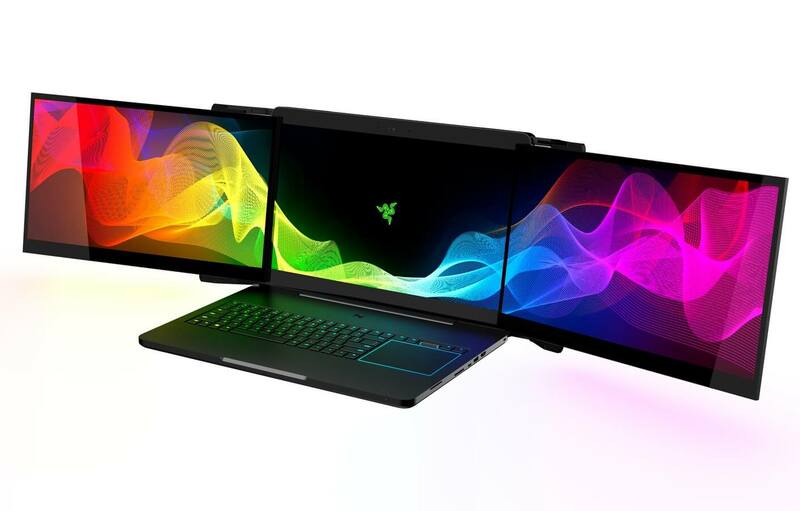 Project Valerie looks like someone photoshopped two more displays onto a gaming laptop, but Razer believes this will be a real product they'll offer in the future. But for now, more exploratory than true product, Razer was looking to create buzz and we won't argue with their intentions. A honorary mention goes to a second project Razer showed at this year's CES. Project Ariana is similar to Microsoft's IllumiRoom concept (2013) that uses a projector to show ambient lighting and video effects surrounding your main play screen and room. It was always meant to be a niche, but very neat project that maybe will come to fruition in Razer's hands. Dell’s XPS 13 has been consistently named one of the best Windows laptops in the past couple of years, receiving praise for its near bezel-free display and solid construction. Now the company is taking its winning formula to a convertible 2-in-1 design that’s a little bit thinner and lighter, too. The XPS 13 2-in-1 shares most of its looks with its laptop counterpart but adds a flexible hinge that allows the system to fold back into a tent orientation or all the way back into tablet mode. Just like the regular XPS 13, the 2-in-1 version uses an InfinityEdge display with a 5.2mm border, but there are also a few changes under the hood. For one thing, the XPS 13 2-in-1 uses a fanless design. The system is based on an Intel Y Series (formerly known as Core M) Core i5 or i7 processor from the Kaby Lake family, instead of the typically more robust U Series, so there’s a performance tradeoff here. Also, you won't find a full-size USB port, but you do get a couple of USB Type-C ports, a Thunderbolt 3 port, microSD card reader, DisplayPort, and headphone jack. The Dell XPS 2-in-1 is available in 1080p and Quad HD+ versions, with the base model starting at $999 and upgrades available to a Core i7 processor, 16GB RAM and 1TB SSD. The 46WHr battery is supposedly good for up to 10 hours in the QHD+ model, or up to 15 hours in the full HD version which sounds a bit generous but we'll likely find out soon since the 2-in-1 is shipping as soon as this week. HP went back to the drawing board for this year’s refresh of the Envy 34 All-in-One and the result is both functional and stunningly beautiful. 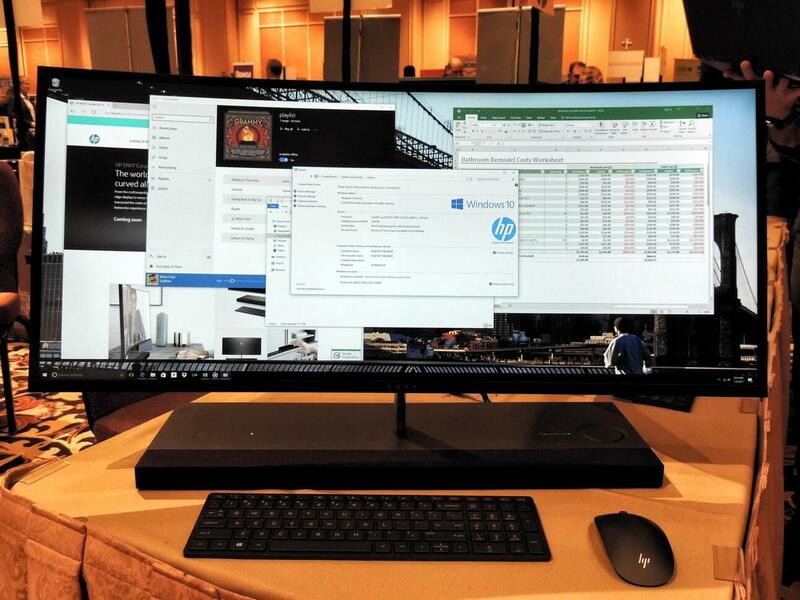 While most AIO designs these days squeeze every component into the back of the display, HP has opted to move the whole PC into a wide, blocky yet low profile base. This allows for a thin, elegantly curved display and skinny bezels, prevents cables from visibly dangling off the back, and keeps important IO connectivity within easy reach. Four Bang & Olufsen speakers with dual passive arrays are hidden behind a mesh on the front of the base. There's a touch-sensitive dial embedded on the right side of the base for controlling volume and playback, and an optional Qi wireless charging pad on the left side. The 3440x1440 IPS display looks bright and crisp and tucked inside along the top is a built-in pop-up camera that you can easily hide when not in use for some privacy peace of mind (the mic also turns off). You can tell HP has really thought this design through and it was by far the most beautiful AIO design of this year's show. HP hasn’t yet shared detailed configuration options, but 7th-gen Core i5 or i7 processors are a given, along with up to 256GB SSD and 2TB HDD and discrete Nvidia graphics. It’s not designed as a gaming powerhouse — all-in-ones rarely are — but it should otherwise be more than capable enough to handle pretty much any computing task you throw at it. It's expected to go on sale on HP's website on January 11 and at select retailers on February 26, 2017. A few years ago it appeared like monitor display technology was stuck. Smartphones were getting really great and pixel dense displays with notable improvements arriving every 12 month cycle, and TV tech was not lagging either. But monitors were still shooting for the cheap stuff. Nvidia and AMD were trying to push sync technology for gamers, but few seemed to be interested in pushing the envelope, and 4K monitors were expensive and hard to set up and thus recommend. 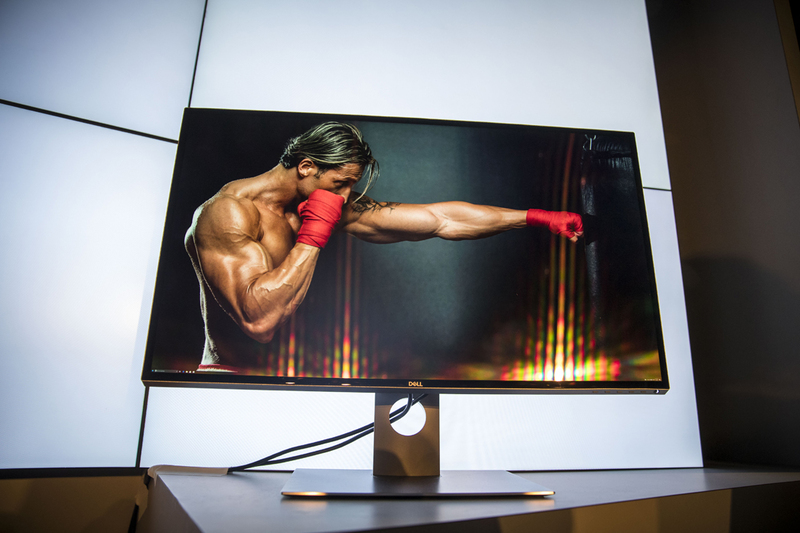 A drool-worthy 32-inch monitor with an insanely high resolution of 7,680 x 4,320 at 60Hz. The UP3218K offers 1.07 billion colors and packs in more than 33 million pixels – that’s four times as many as a 4K display and 16 times more than Full HD. That translates to a PPI rating of 280 which is very high for a desktop screen. At $4,999 it's expensive, but it also means it's not vaporware. Dell will start selling the UltraSharp 8K in late March. The 27-inch PG27UQ is the first monitor to support 4K at 144 Hz. Even more impressive is the fact that this display uses IPS technology. Asus plans to take full advantage of Nvidia's G-Sync HDR tech (read more about it below) for HDR10 compatibility, with a prospective Q3/2017 release date and rumored $1,500 price point. The Predator Z301CT is a 30-inch display with an 1800R curve and a modest resolution of 2560 x 1080, but the star of the show here is a refresh rate that can go as high as 200 Hz with 4ms response times. There are a number of gamer-friendly features, including Tobii eye tracking and G-Sync. The Z301CT comes with HDMI 1.4 and DisplayPort 1.2a inputs as well as a USB 3.0 hub. Interested gamers will be able to purchase this display in February for $899. The next big thing that's set to hit PC displays in the coming year is HDR, or High Dynamic Range. Already seen in a range of TVs, HDR technology increases the color depth and dynamic range of imagery, creating greater contrast between bright and dark areas that leads to more detail and a more realistic image. The key aspect to FreeSync 2 is it eliminates display-side tone mapping when displaying a HDR image. It does this by giving game engines the exact characteristics of the attached display – data such as color gamut, supported dynamic range, brightness, etc. – so that the game itself can tone map directly to the display. AMD will also be certifying all FreeSync 2 displays so that gamers are guaranteed to receive a quality HDR experience when they buy a display branded with the FreeSync 2 logo. FreeSync 2 displays will also support all the features of the original FreeSync, chiefly variable refresh rates for stutter- and tear-free gaming. Low frame rate compensation will be a mandatory feature of FreeSync 2, as will low input lag in the "few milliseconds" range. The idea behind G-Sync HDR is similar to AMD's FreeSync 2 technology: it provides gamers with a zero input lag HDR gaming experience on a new collection of top-end monitors. These monitors have been created in partnership with AU Optronics, who have created a brand new panel that will be seen in a range of displays, including the Asus PG27UQ. Like FreeSync 2, it appears as though PC games will need to integrate specific support for G-Sync HDR if they want to utilize the full capabilities of G-Sync HDR monitors. Mass Effect: Andromeda and Shadow Warrior 2 are two games set to support G-Sync HDR at its launch, and we can expect more titles to support HDR on PC in the future. Set to become the SoC of choice among the smartphone elite in 2017, the Snapdragon 835 is Qualcomm's first 10nm SoC built on Samsung's FinFET process – in fact it's one of the first 10nm chips of its kind on the market, beating traditional leader Intel to the punch – and this helps the chip achieve new levels of performance and efficiency. 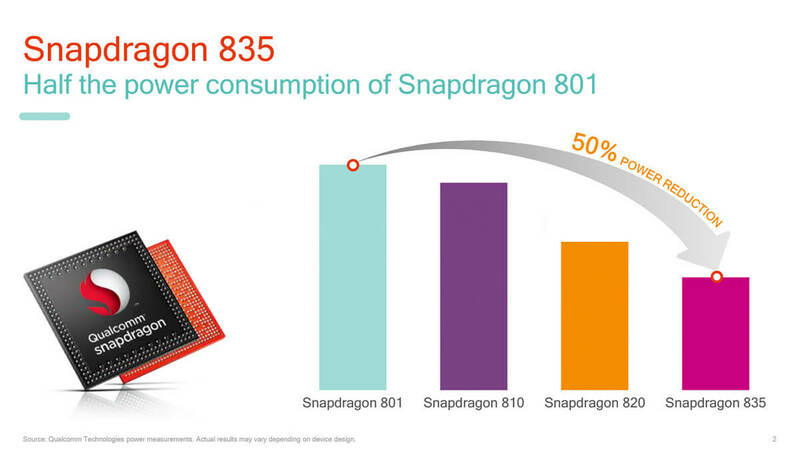 The Snapdragon 835 is 30% smaller than the Snapdragon 820 it replaces, while packing up to 27% better performance and a 40% power consumption reduction. An impressive chip already, the latest Snapdragon carries the usual number of processing and graphics cores, wireless modem (Gigabit LTE! ), and a series of specialized hardware to support a phone's GPS, camera and image processing, among others like VR-specific features. The first devices to use the Snapdragon 835 will be released in the first half of 2017, we'd assume mostly high-end smartphones, but as Qualcomm chips have become more powerful, the convergence of traditional PCs and handheld systems is inching closer ever more so. The Snapdragon 835 will run full Windows 10 and so this may finally be the year where ARM meets Windows in a truly convincing fashion. Mohu, best known by cord cutters for its Leaf over-the-air (OTA) antenna, has been working on combining OTA with over-the-top (OTT) streaming content. 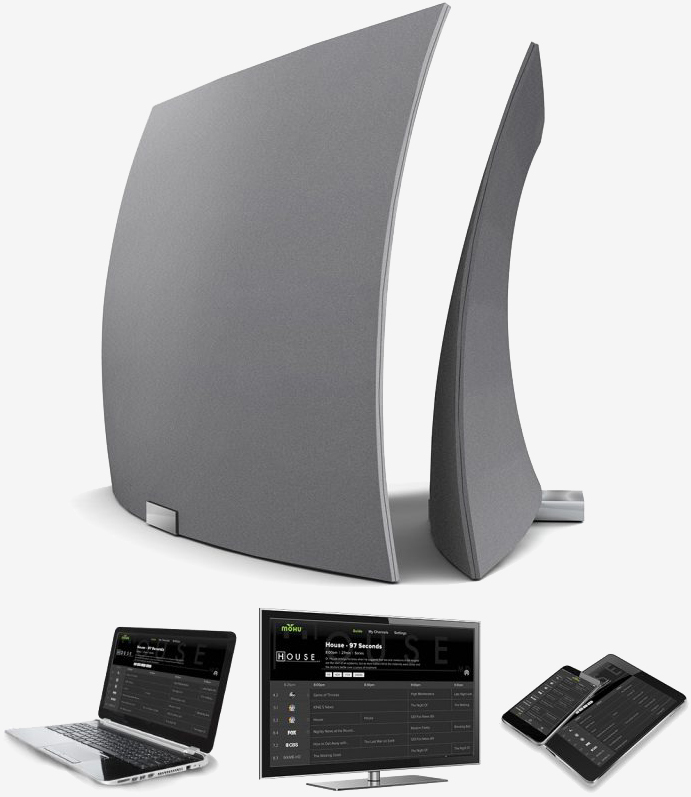 The Mohu AirWave is a wireless antenna that receives free over the air signals and can stream them over your network via the Mohu TV app on a compatible media streaming device — this will include the entire Roku lineup, the current generation Apple TV, Amazon Fire TV, Fire TV Stick, and Chromecast. Users will be able to browse program descriptions and up to 14 days of upcoming content in a cable-like program guide within the Mohu TV app. You can also select favorite channels, and Mohu claims its ClearPix technology will reduce pixelation for the best image quality possible of OTA broadcasts. The idea of mixing OTA content with OTT streams is similar to what Dish's upcoming AirTV Player does, except instead of requiring a new streaming box and supplying your own wired OTA antenna, Mohu’s AirWave’s approach is to bring live broadcasts to streaming boxes you already own through an app. 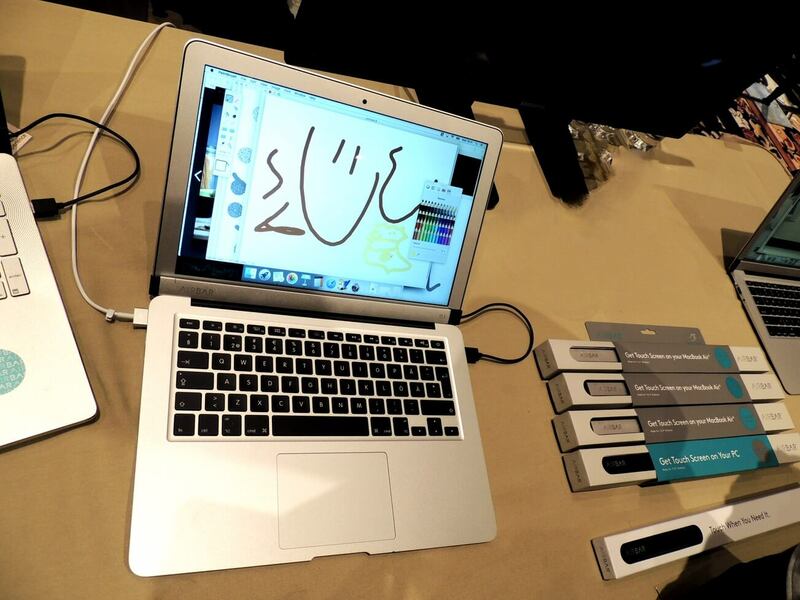 Neonode was just in time for CES showing a new working prototype of the AirBar. In its most basic form, the AirBar is a sleek, metal bar that attaches to the bottom of your laptop's display and connects to a USB port. The AirBar emits an invisible light field over the screen to recognize the touch of your fingers or a stylus when it makes contact with your non-touch display, then translate that into clicks. During our brief testing session we felt the AirBar was pretty accurate, maybe not like a real touchscreen, but for an affordable add-on ($69) it wasn't bad at all. Pinch-to-zoom and scrolling gestures are not yet enabled but we are told they should be working soon. AirBar for Windows is supposed to be ready now, while the MacBook Air version that was shown at CES is shipping in March. The difference has to do with size, with AirBars being offered at typical laptop widescreen sizes of 15.6 inches, 14, and 13.3 inches. The technology appears to be inexpensive and practical. Not everyone needs or wants a touchscreen, however in certain scenarios we see how older laptops and monitors could use touch and AirBar's tech could become the standard add-on for that purpose. 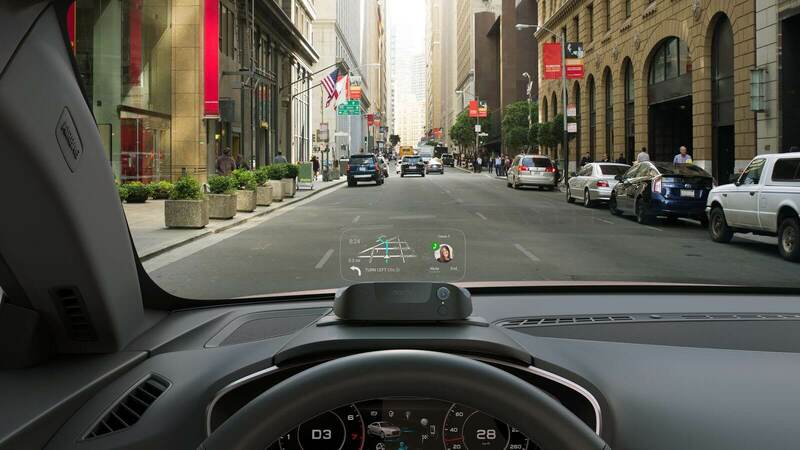 Navdy is an aftermarket head-up display for your car that connects to your phone via Bluetooth and sits on the top of your dashboard. The small device projects a full color image that adapts to any light condition to a transparent display in your line of sight allowing you to keep your focus on the road. The device has built-in sensors monitoring for hand gestures above the steering wheel, so you can manage calls, messages, GPS and your car information with the wave of your hand, Tony Stark style. There's also a dial that can be attached in the steering wheel or gearshift that can be used for navigation or to access Siri / Google Now. It's a cool device, it's already available (since last quarter), and it's not cheap at $799, but from our brief time testing it we thought it was polished enough to make it a worthwhile investment for many, with the added plus that it can be adapted to your current car for an effective upgrade to your current dash info system. 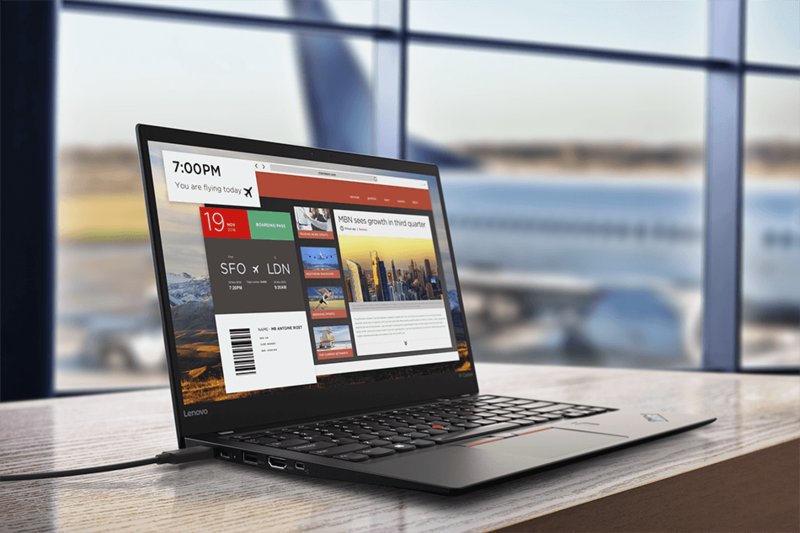 The core design of the ThinkPad X1 Carbon remains largely the same but sticking with a winning formula while refreshing components and squeezing a bit more performance and battery life has paid off for Lenovo. The X1 Carbon is a gorgeous if utilitarian-looking machine. As before, it's a professional-oriented laptop and still one of the most portable you will find at 2.5 pounds. The display is available in 1080p or 1440p IPS LCD variants, and Lenovo has crammed these 14-inch panels into the area normally occupied by a 13-inch display taking a cue from Dell's XPS, the screen bezels are much thinner now. The move from an Intel Skylake to Intel Kaby Lake CPU has resulted in an extra four hours of battery life; Lenovo now claims the Carbon is good for 15.5 hours of usage. Other improvements include the addition of two Thunderbolt 3 USB-C ports, and the ability to pack both WiGig and Qualcomm's X7 LTE modem in the one unit. An IR camera with support for Windows Hello facial recognition is included alongside a fingerprint reader. Lenovo's signature ThinkPad keyboard and trackpad are still as good as ever here. You can kit out the X1 Carbon with up to 1 TB of PCIe SSD storage and 16 GB of RAM. The new X1 Carbon will be available in February starting at $1,349.